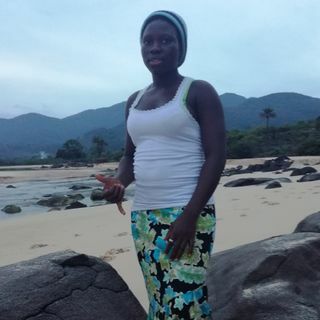 In Bureh Beach, Sierra Leone, I had the chance to speak to KK, the first and still only female surfer in Sierra Leone. Hearing the waves rolling in the background, KK will tell us a bit about here cool story of becoming a surfer and the community supporting ... Maggiori informazioni project, the 'Bureh Beach Surf Club'. Please take 3 minutes of your time and leave a review about our podcast on Itunes, this is of great help for us. If you like to hear more, please subscribe and send us your feedback about our show. Thank you:)!